Ever wonder which states are the cloudiest? Or what city gets the most snow? Climate maps can tell you. They show average weather conditions—in your neighborhood, around the world, or even on Mars! 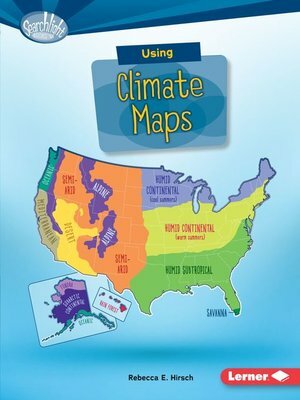 But how do you read a climate map? And how are these maps made? Read on to learn the details! Rebecca E. Hirsch, Ph.D., is the author of numerous books about science, nature, and geography for children. She lives with her husband and three children in State College, Pennsylvania. You can visit her online at rebeccahirsch.com.